They both look cool but I'm really stocked on how the peavy headstock seems like it was meant to mate with the Meteora's body. It's just perfect. It flows naturally. You've got a really well adjusted eye for colour & shapes, my friend. 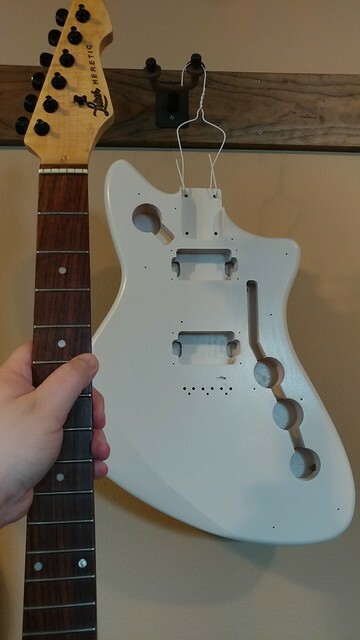 I bet that if Fender's designer would have spent a few minutes discussion with you when he was at the drawing board, the final product wouldn't have ended up being such a sloppy combination of leftover parts taken here and there.. Thanks! That is kind of you. Almost done with the white color coats. One can to go.